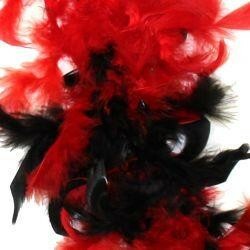 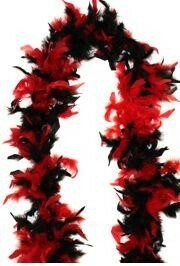 This bright red and black feather boa will add a festive accent to your masquerade or party costume. 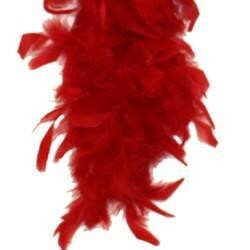 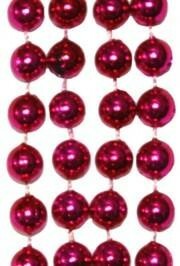 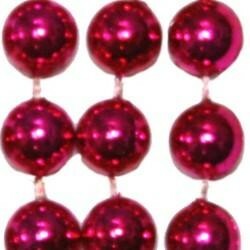 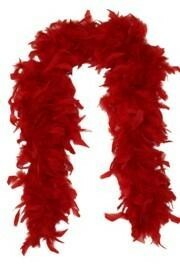 Complete your masquerade or party costume with red feather boa. 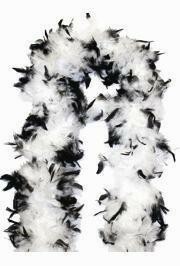 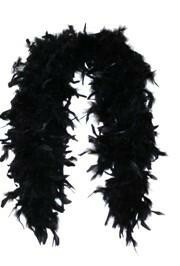 Complete your masquerade or party costume with a white and black feather boa. 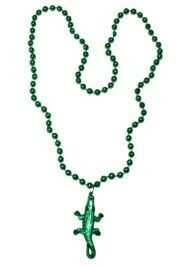 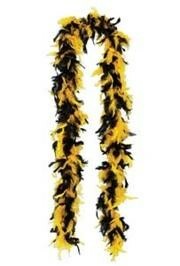 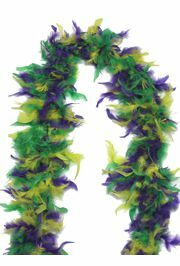 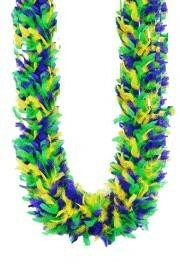 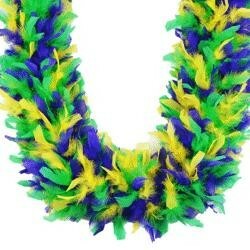 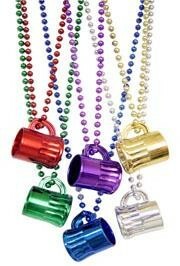 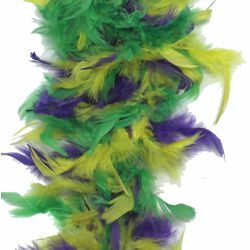 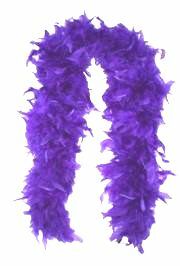 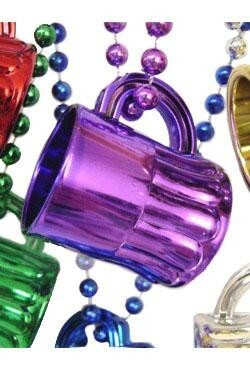 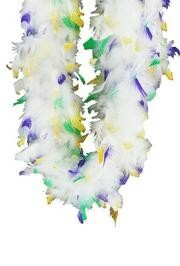 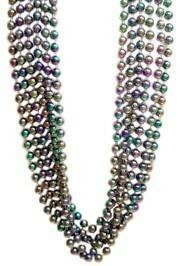 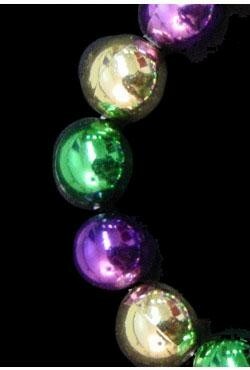 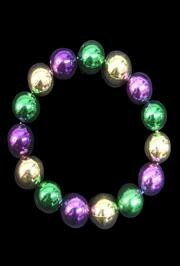 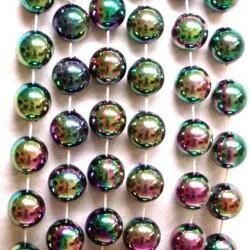 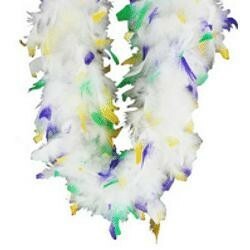 Complete your party Mardi Gras costume with elegant purple, green and yellow chandelle feather boa.